Kindle Scribe: Something To Get Excited About? While there have been some fairly substantial revelations recently regarding the Kindle Tablet, we haven’t been hearing much about the next generation of Kindle eReader. It’s understandable, given the potential for some really great Kindle vs iPad competition in the near future, but that doesn’t mean there isn’t anything else going on. Jeff Bezos said at one point that Amazon will remain mindful of their customers’ desire to always have a dedicated eReading device, and I think we can expect them to follow up on the Kindle 3 in a fairly substantial way. Perhaps the biggest source for speculation regarding the Kindle lately has been the discovery of some domain names secretly registered by Amazon. Using a hole in Go Daddy’s security, since remedied, interested researchers were able to figure out that they had acquired “kindlescribe.com” and “kindlescribes.com”. This has, as might be expected, led to quite a few people being fairly sure they know the name and focus of the next Kindle eReader. At best, I would say this might be half right. While the Kindle is long overdue for some intuitive and immersion-maintaining method for annotation, I can’t see the addition of a stylus being an important enough addition for Amazon to base an entire generation of their devices on. It will probably be present as soon as there is a touchscreen to make use of, which I think we can all agree is an inevitability for any new eReader Amazon comes up with at this point, but as a focal point it would just be underwhelming. 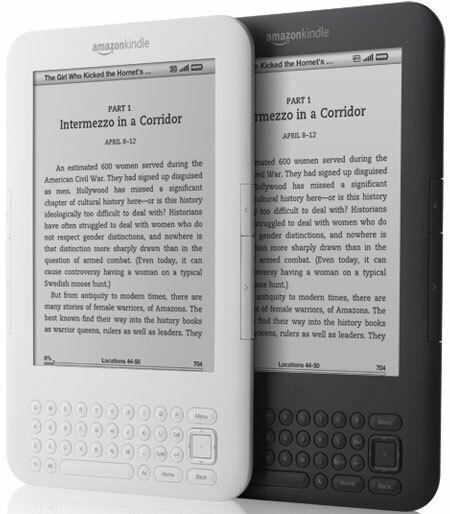 What does make sense is a Kindle Scribe(s) service that allows for tighter integration of the Kindle and Kindle Tablet. One of the biggest problems that the company faces with their entry into the tablet market is that of avoiding cannibalizing their own eReader sales while still maintaining strong competitive advantages. If the only way to either access or produce hand-written noted in eBooks turns out to be via the Kindle line of devices, not only does value go up compared to the competition in both categories, but the fact that your notes can be shared between the two would encourage dual ownership for a number of applications. If for no other reason than that a stylus will be equally useful with either new device, there’s no reason to expect a Kindle Scribe eReader. This isn’t the first time we have heard about potential naming schemes for new Kindle incarnations, of course. The same source also discovered “kindleair.com” and “kindlewave.com” several months ago, which led to speculation of an earth, wind, and water theme for the next big Amazon device roll out. For all we know, those will have some applicable meaning when release day comes around too. While none of this is set in stone and nobody outside of Amazon can really say for sure what is going to come along in the next generation of Kindles, we do know that it’s coming. Speculation about release dates has been growing, rumors are spreading, and Amazon is selling off refurbished Kindle models for as little as $99 everywhere they can think of to clear stock before the new device is ready to go. It’s only a matter of time now. This entry was posted in Amazon, E-Book Readers, Kindle 4, Kindle Applications, Kindle Rumours and tagged kindle 4, kindle scribe, new kindle, Speculation by matthew. Bookmark the permalink. Do people really want styluses any more? Having a stylus means having an accessory that’s easy to lose and of non-trivial cost to replace. It also means getting into some sort of handwriting recognition (otherwise a stylus is both unnecessary and far inferior to the current Kindle keyboard for notetaking). That’s always been a bit dodgy, except when you create your own alphabet like Palm did. I tend to think people would prefer the hardware keyboard to learning something like Grafiti for an ereader (or even a low-cost consumer tablet). I really don’t like the fingerprints that accumulate on a touchscreen. I like the option of using a stylus, but I’m not sure I would like a stylus-only device. In part it depends on what can be used instead of a stylus. Back in the Palm days I frequently used the back end of a pen, so it wasn’t a big deal. with a capacitive touchscreen that doesn’t work and you need a special stylus, but a finger can be a substitute.